The second National Human Development Report for the Maldives – ‘Bridging the divide: addressing vulnerability and inequality’ – finds that ensuring equitable distribution of developmental gains amongst the Maldivian people has proved to be a challenge. At the same time, the country remains vulnerable to internal and external shocks, including the impact of climate change. 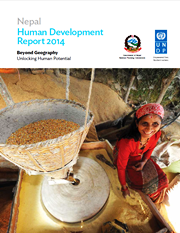 This report looks at how to engage young people in conversations about development. It is an excellent example of how to give people a voice to shape their own future. Young people were closely involved in the report’s production and in taking the recommendations forward. It led to Sri Lanka’s first blog on youth and development, which dozens of young Sri Lankans now contribute and is now published in a national newspaper. Two years after its launch, the findings of these reports are informing many discussions and policy-making processes which range from the draft of a youth policy action plan through a university diploma in youth development. 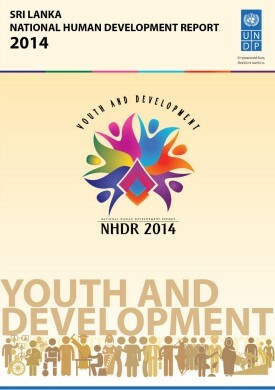 The report examines the pivotal role of Sri Lankan youth. You and Development: Towards a More inclusive Future considers the opportunities and challenges youth face as the nation progresses through the 21st century. This has been the year for youth in Sri Lanka, highlighted by the launch of the first National Youth Policy and the hosting of World Conference on Youth. Which led to an outcome statement for the first time was jointly signed by the Government and youth delegates. The report rightly recommends strengthening inclusive growth and looking into innovation in development models for problems that defy general economics. Inclusive Growth and innovation in development models are important at this time, as Nepal tries to move out of a long drawn out political transition and its commitment to graduating from Least Developed Country to a Developing Country status by 2022. El mundo vive tendencias globales que lo modifican y lo vuelven cada vez más incierto. Asegurar el desarrollo humano de las futuras generaciones requiere entonces ampliar nuestro conocimiento sobre las tendencias globales de cambio, y explorar las opciones estratégicas que hagan que las y los argentinos enfrenten los desafíos y aprovechen las oportunidades de un mundo en transformación. En las últimas décadas la población mundial ha expandido considerablemente sus capacidades y libertades reales, es decir, su desarrollo humano. En general, las personas son hoy más saludables, más educadas y más ricas que nunca antes. En el mundo, entre 1970 y 2010 la esperanza de vida creció de 59 a 70 años, la alfabetización se incrementó del 60% al 83% de la población, la matriculación escolar combinada en primaria y secundaria pasó del 55% al 70%, y el ingreso real per cápita casi se duplicó. 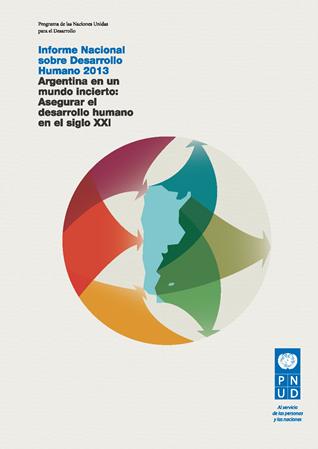 Esta ha sido la evolución promedio del desarrollo humano, más allá de avances y retrocesos temporales y de desigualdades manifiestas entre países y dentro de ellos (PNUD, 2010a).